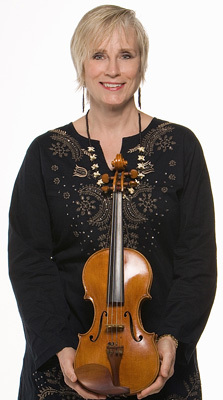 Vicki Richards is a musician/violinist, composer and improviser who is classically trained in 2 traditions. Ms Richards appears in a number of publications highlighting her place in history as a musical pioneer, particularly in the fusion of East Meets West. She was one of the first violinists to use both acoustic and electric violin processors. Her studies in Classical European music and Indian Ragas have made her one of the most unique fusion musicians with access to a wide aural palette. She’s has been plugged in and globally connected in music for many decades. 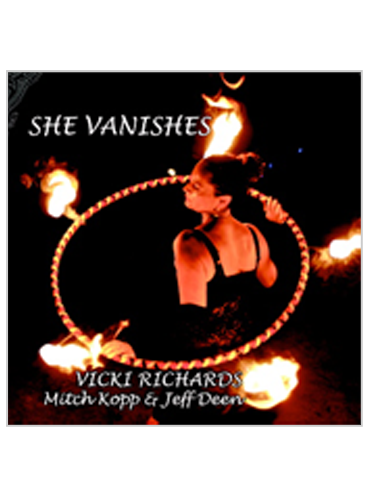 Her 5th studio recording, She Vanishes, was released in 2011and is the latest realization of a soundscape that is based in world fusion motifs and classically-tinged melodies. Public Radio airplay and glowing reviews document her life through music. In the past few years with local and national dance events Ms Richards is becoming known as a naturalist musician. She improvises while incorporating the music from our natural world (Everglades) with her field recordings. 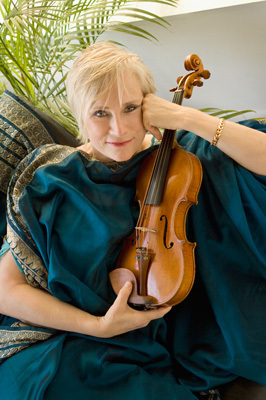 Some of her colleagues in concert and on recordings include Robert Thomas Jr & Amitava Chatterjee. (former members of Weather Report), Layne Redmond, Steve Gorn, Steve Roach, Satoshi Takeishi and Jorge Alfano.Her current music partner is tablist and percussionist Jeff Deen.